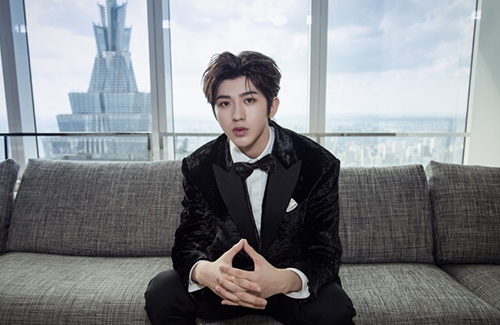 Cai Xukun (蔡徐坤), leader and center of the Chinese boy group Nine Percent, is currently being sued by his former management agency, Pelias Film & TV Culture Co. (henceforth “Pelias”) for unfair business competition. Pelias is also suing Cai Xukun Studio, Idol Century Film & TV Culture Co. (henceforth Idol Century), and China Merchants Bank for deceptive business practices. According to the indictment, Cai Xukun had signed an exclusive contract with Pelias in 2015, which stated that Pelias would be the sole agency responsible for all aspects of Cai’s entertainment career. The exclusive contract would last eight years, ending in April 2023. However, while Cai’s exclusive contract with Pelias was still active, Idol Century and Cai Xukun Studio booked an endorsement and promotional contract with China Merchants Bank without the consent of Pelias, violating their exclusive contract and economically harming Pelias’ rights and interests. The former agency has now asked the court to put a stop on the defendants’ unfair business practices and asking for a compensation of 5 million yuan. Cai was a member of the boy group SWIN, produced by Pelias, prior to participating in the 2018 singing competition Idol Producer <偶像练习生>, in which he came in first place. Cai, along with eight other contestants, formed the supergroup Nine Percent, now one of the highest-earning bands in China. This article is written by Addy for JayneStars.com.